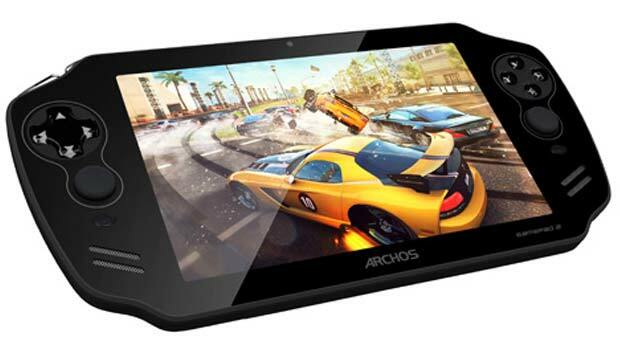 Archos is back with a GamePad 2 tablet that brings in various improvements compared to its predecessor including a better display, a faster processor and a lot more while still retaining a budget-friendly price tag. The device also has a reworked form factor with dedicated hardware buttons for gaming. The concept behind the GamePad 2 is quite similar to that of the Wikipad 7 that also comes with a controller dock for gaming. The latest iteration dons a 7-inch IPS touchscreen like the original, but the resolution has been increased to 1280 x 800 pixels. The controller features two analog sticks, a directional pad, four shoulder buttons and six keys on the front. The tablet is powered by Android 4.2 Jelly Bean and it comes preloaded with the company’s GameZone app store, Media Center suite and Google Play as well as full versions of Asphalt 8: Airborne and Modern Combat 4: Zero Hour from Gameloft. There’s Wireless Display technology as well, for streaming content to a compatible HDTV, and HDMI output. The tablet also delivers improved battery life over the original. Ticking away on the inside is a quad core 1.6GHz Cortex A9 processor which is a decent improvement over the previous model’s dual core CPU. Graphics are in the hands of a quad-core Mali 400 MP4 GPU, while smooth operations can be expected with the inclusion of 2GB RAM. The tablet is being offered in choices of 8GB and 16GB with a microSDXC card slot. The GamePad 2 from Archos will be available for purchase across Europe by the end of the month. It’s priced at £179.99.